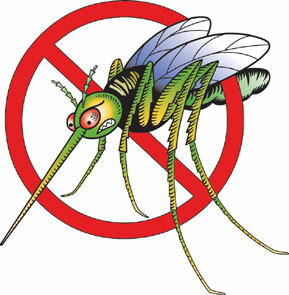 Based on the current mosquito trap data and consistent with the 2012 Nassau County Mosquito Control Plan, the Nassau County Departments of Health and Public Works have recommended that localized truck treatment of adulticide continue at targeted areas in the County. This recommendation is based on the persistent presence of West Nile virus and mosquito activity at these locations. Sections of Cedarhurst, Hewlett, Inwood, Lawrence, Lynbrook, North Lynbrook, North Valley Stream, South Valley Stream, Valley Stream, Woodmere, and Woodsburgh. Sections of Bethpage, Levittown, Massapequa, North Massapequa, North Wantagh, Plainedge, Seaford, and Wantagh. Sections of Bellrose, Elmont, Floral Park, Franklin Square, Garden City, Garden City Park, Garden City South, Lynbrook, North Lynbrook, Malverne, Malverne Oaks, New Hyde Park, North New Hyde Park, Stewart Manor, South Floral Park, Valley Stream, North Valley Stream, and West Hempstead. When: Weather permitting, the planned schedule for ground treatment will be on Monday, August 13th, Tuesday, August 14th, and Wednesday, August 15th beginning at 8 PM and ending no later than 4 AM. What: Scourge is a pesticide containing resmethrin and piperonyl butoxide. Resmethrin is a man-made pyrethroid insecticide that can also be found in other pesticide products used indoors and on pets to control ticks and other insects, such as fleas and ants. Piperonyl butoxide does not directly kill insects on its own, but acts to increase the ability of resmethrin to kill insects. These active ingredients are dissolved in a petroleum solvent. Health Effects: The chance of experiencing any health effects from the use of Scourge to control mosquitoes is quite low. As with any pesticide, individuals may want to reduce or eliminate exposure. Keeping windows and doors shut, setting air conditioners to re-circulate if able. Turn window fans off. Keeping pets indoors, as well as their food, water dishes and toys. Covering fishponds during the spray period. Since the effects of the ground treatment dissipate in a few hours, it is not necessary to wash off outdoor furniture or playground equipment before use, although doing so will not diminish the effectiveness of the pesticide applied.